Indonesia’s State-owned companies were also part of MIFEE, and were planning to supply seeds, create farmer-owned enterprises and run a sugar-cane plantation. However, as plans for food crops seem to have disappeared from MIFEE, the state-owned sector seems to have abandoned the area. Other by-products of rice cultivation could also be marketed under such a scheme, which is claimed to provide added value for farmers. Examples could be broken rice from the threshing process, which could be turned into flour or rice bran from which oil can be extracted and the remaining mixed into animal feed.4 The scheme seemed to be orientated towards promoting agribusiness. PT Padi Energi Nusantara, whose motto is “modernize agri-systems management”5 was expected to take responsibility for supplying fertilizer, seeds and developing infrastructure. Finally, a consortium of state-owned plantation companies hoped to open a sugar plantation and factory in Merauke, and have signed a memorandum of understanding with the local government.6, as part of the response to address Indonesia’s current lack of self-sufficiency in sugar. 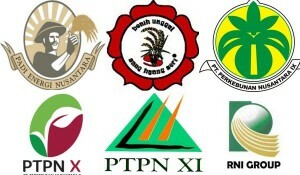 The companies involved are PT Perkebunan Nusantara (PTPN) IX, PTPN X, PTPN XI and PT Rajawali Nusantara Indonesia. Note: PT Rajawali Nusantara Indonesia (PT RNI) is a state-owned company which operates several sugar factories across Indonesia as well two plantations and a few other industrial facilities producing alcohol, pharmaceuticals and equipment for the healthcare industry. It has no connection to the Rajawali group, privately owned by Peter Sondakh, which also plans to open a sugar plantation and factory in Merauke. (UPDATE July 2013) It appears unlikely that any of these plans are still active. We have not come across any media reports or news from the ground to indicate that any of these companies are still involved in Merauke.